Maybe I should have been born American. 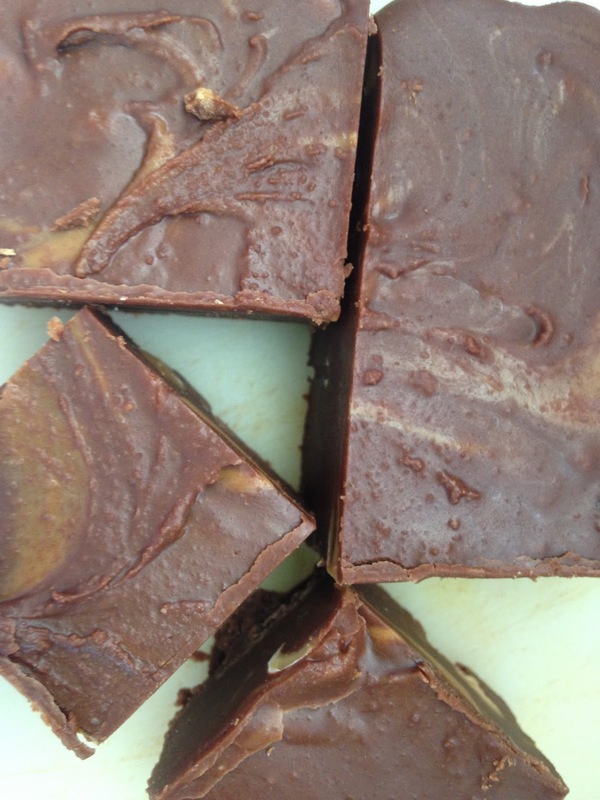 Chocolate and peanut butter – while perfect on their own – are simply heavenly combined. This is not a new revelation (my last post focussed on this same perfect duo). However it presents many opportunities that I am loathe to waste! The idea for this (original!) recipe was inspired by the café at my workplace. 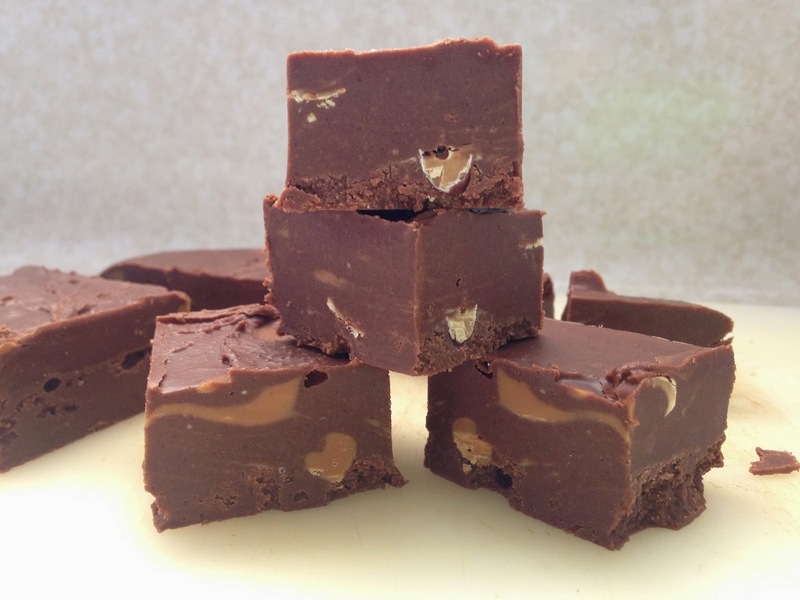 A few weeks ago, I noticed for the first time their decadent chocolate peanut butter fudge. A colleague of mine managed to squeeze the staff for their recipe, which I rated pretty high on the scale of the-perfect-combination-of-sweet-and-peanut. I was surprised to find that, aside from peanut butter, its only ingredients were white and milk chocolate. Those sweet chocolate flavours were dulled down significantly by the smooth p’nutty butter – again I say, the perfect combination! 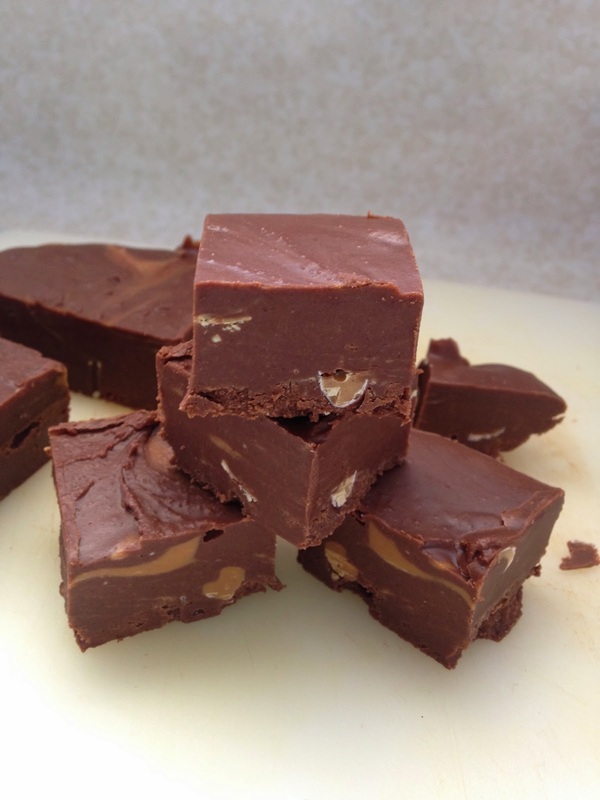 I’m in that category of people who consider that ‘white chocolate’ is an oxymoron so I went without the white when trying to replicate this fudge. 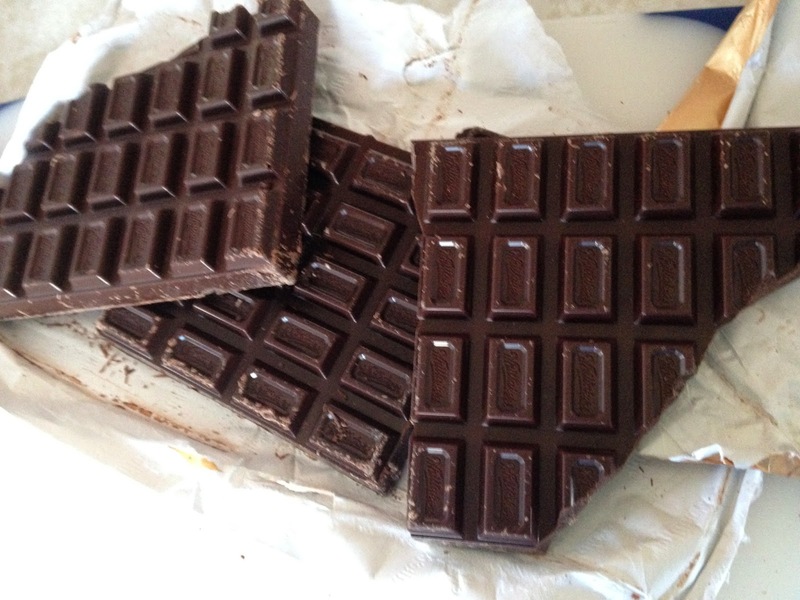 Plus I wanted to reduce the melty-ness due to high cocoa butter by introducing sugar on its own. 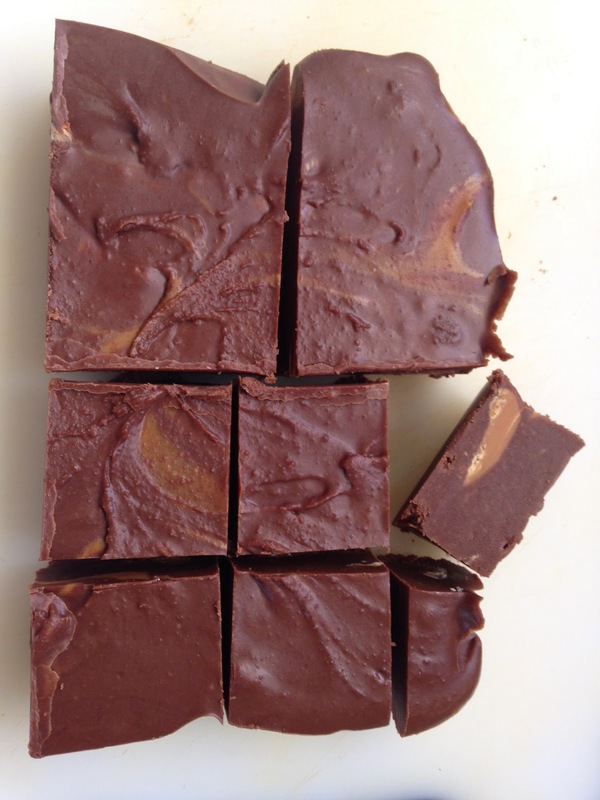 Here’s my version, in which I used smooth, no-salt and no-sugar peanut butter. 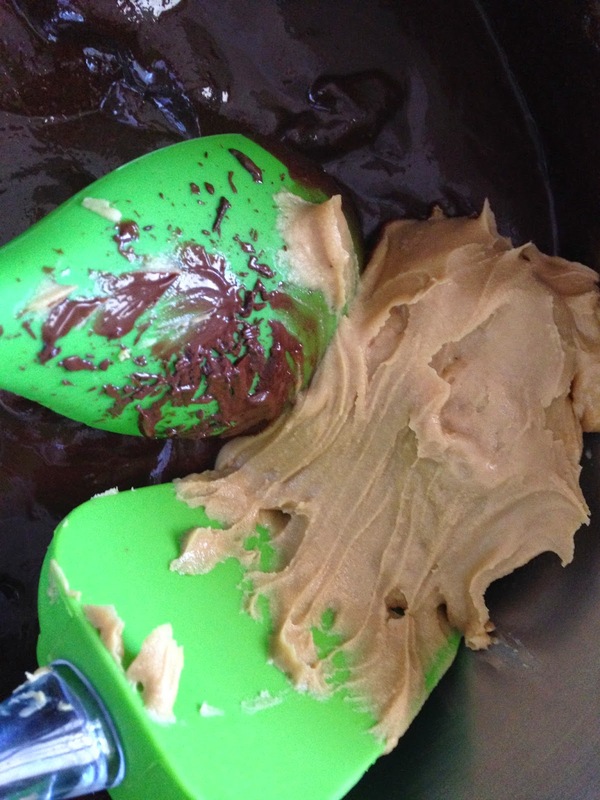 Add the sugar slowly – if you want to use sweetened peanut butter you may not need as much so just check the sweetness after each half cup of sugar you add. 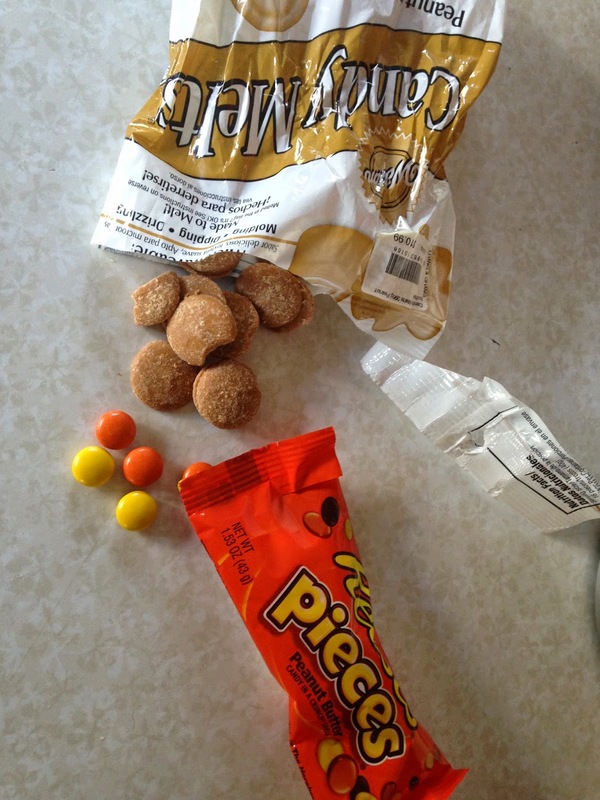 Crunchy peanut butter is another option, especially if you wish to omit the candy or melts. 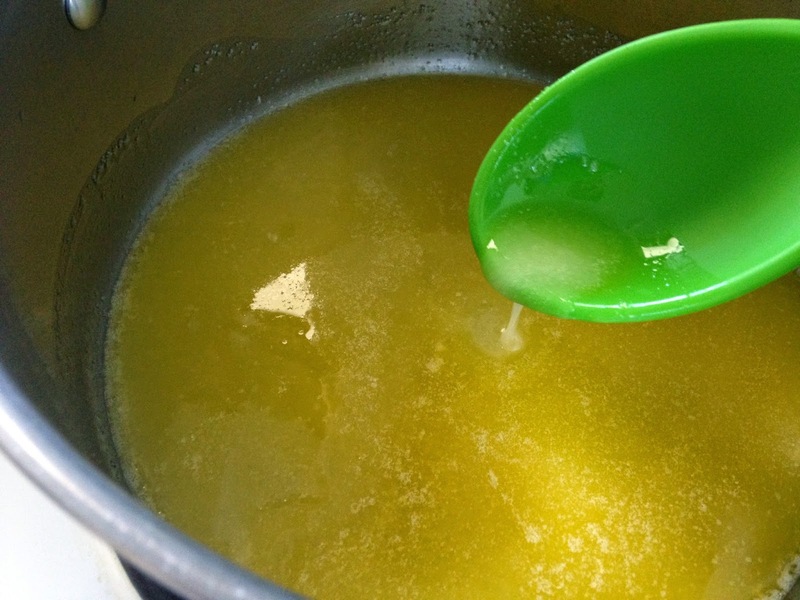 Melt the butter and chocolate together in a large saucepan over low heat. Add the peanut butter (still heating) and stir until combined. Remove from heat and add the icing sugar half a cup at a time, tasting each time until preferred sweetness is reached. 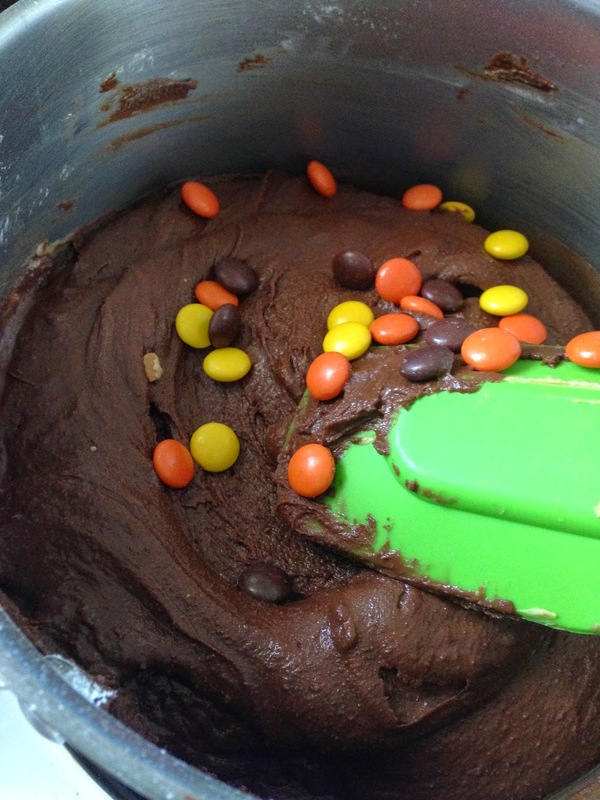 Stir in chopped peanut butter melts and candies if using. 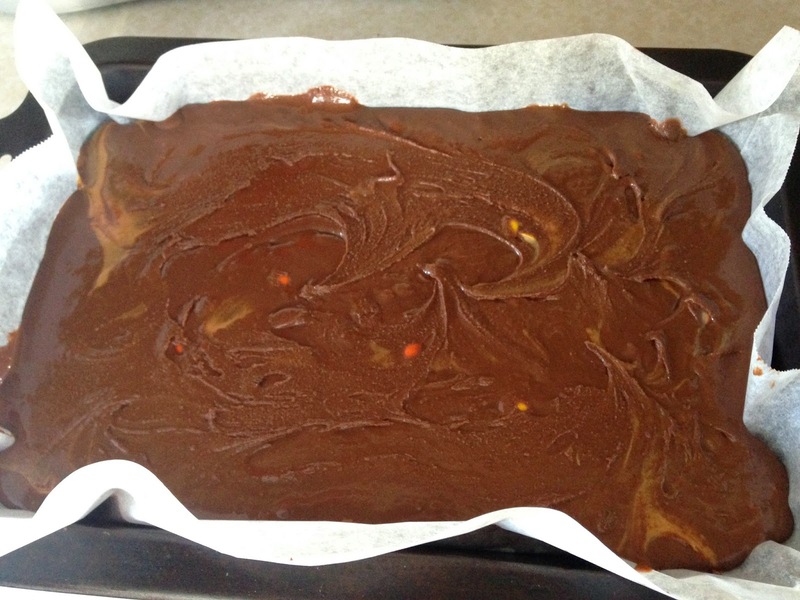 Pour mixture into a 9 inch by 13 inch rectangular tin, lined with baking paper. Refrigerate until set then cut into pieces and serve at room temperature.